Dear friends and supporters of Hospice Angelus, in this message/issue we would like to share with you our great plans for the end of the spring. 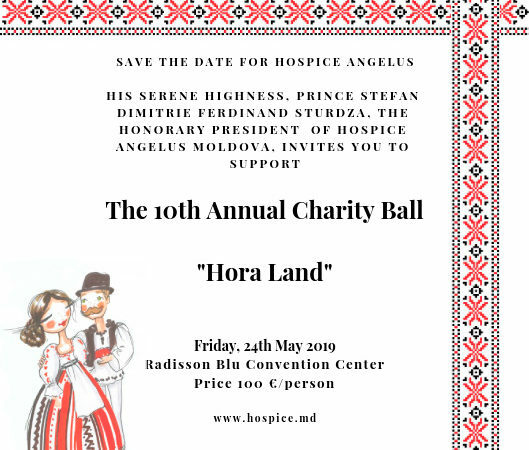 On the 24th of May, 2019, His Serene Highness, Prince Ștefan Dimitrie Ferdinand Sturdza, The Honorary President of Hospice Angelus, is inviting you to the annual charity ball Hospice Angelus, the X-th anniversary edition. The event will take place at our partner hotel, Radisson Blu Convention Center. 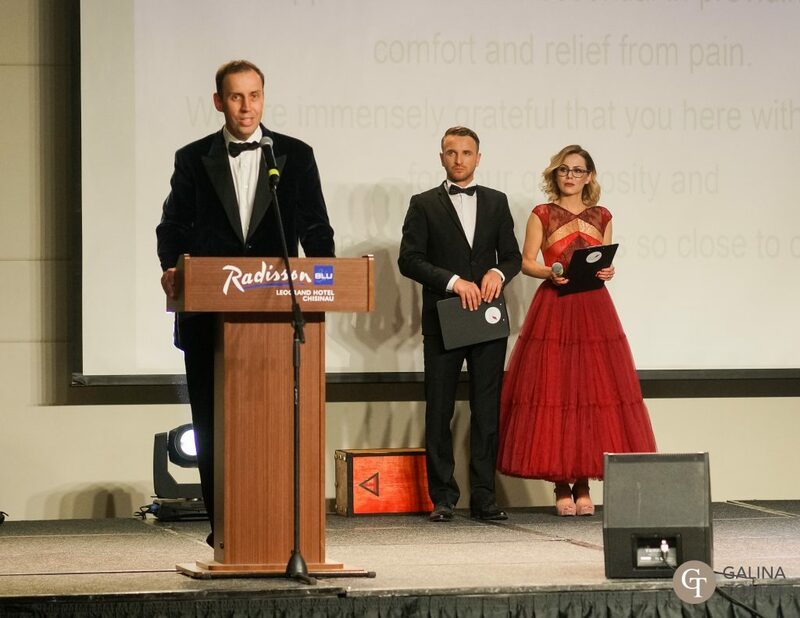 The goal of the event is to collect funds to support palliative care services for adults and children in the Republic of Moldova. Since each second of life should be lived without pain and with dignity, surrounded by people we love, we are most grateful for your support and would love for you to attend this event. The cost of the participation at the 10th Edition of the Charity Ball is a donation of 100 euro per person which covers 5 home visits or full time 3 day care for a child with incurable illnesses in the terminal stage at Casa Angelus. The tickets can be bought directly at the Hospice Angelus office, placed: 40/1, Alexandru cel Bun Street, Chisinau or you can make an inquire by phone at +373 68166997, email: info@hospice.md and our volunteers will be happy to deliver the tickets to your place. To become a partner/sponsor, please download the Sponsorship packages below or contact our colleague Victoria Condrat at +373 68166997, email: info@hospice.md. You can always make a donation by accessing our Donate button.